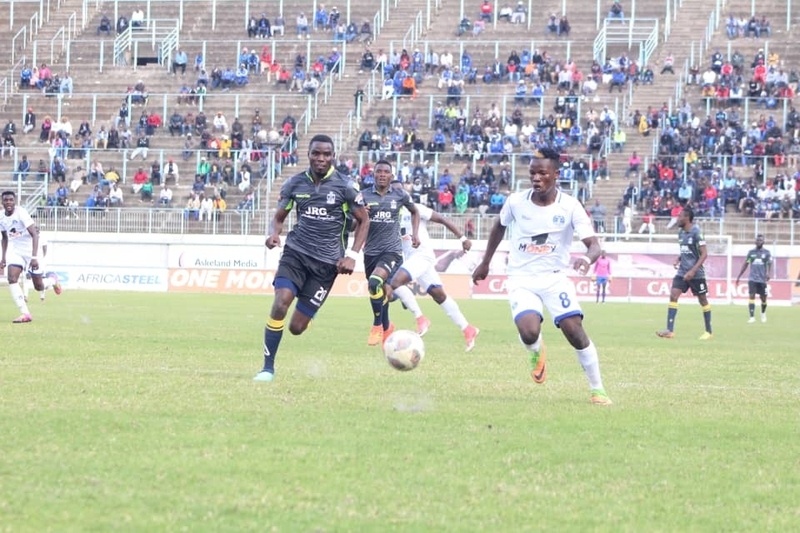 Ngezi Platinum Stars registered their first ever win in Harare against Dynamos following a 1-0 victory at Rufaro Stadium on Sunday afternoon. Madamburo also completed a double over their rivals after beating them in the reverse fixture played at Baobab Stadium in May. Despite dominating play, the Glamour Boys never brought any serious threat on Ngezi as they wasted several glorious chances throughout the half. The visitors, on the other hand, had a slow start, and they got their first opportunity in the 10th minute when Godknows Murwira’s deflected shot was saved by the keeper. The tempo of the play slowed down towards the half-hour mark with neither side making meaningful attacks. However, Kelvin Bulaji who is a former Dembare player, broke the deadlock on the stroke of half-time, heading in a corner kick. The second period saw the away team drawing back to play more defensive. Emmanuel Mandiranga, who was a lone man upfront, could not do anything as all the balls targeted on him were easily dealt with by the Ngezi backline. The Glamour Boys also failed to utilise the set pieces they got, with most of them posing no danger to the keeper. 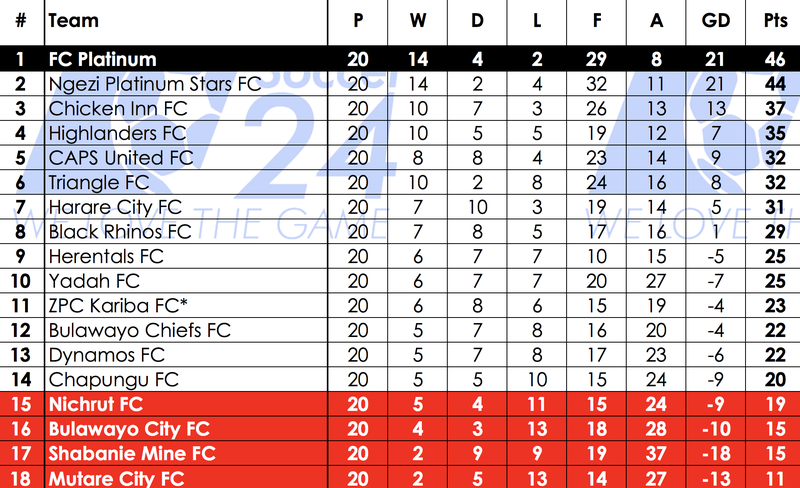 The result remained unchanged as Bulaji’s solitary goal put Ngezi on 44 points, two behind log leaders, FC Platinum. At Gibbo, goalkeeper Ariel Sibanda put up a man of the match performance as Highlanders edged out Triangle United 1-0. Newman Sianchali netted the winner in the 7th minute. United could have equalised on the half-hour mark but Russel Madamombe’s strike went straight to the woodwork. Sibanda followed up with a crucial stop in the 34th minute when he stretched to deny Kudzai Chigwida’s header. Six minutes later, the goalie made another brilliant save after Madamombe tried to hit the target directly from a corner. His best moment came on the hour when he blocked a penalty before saving the rebound. 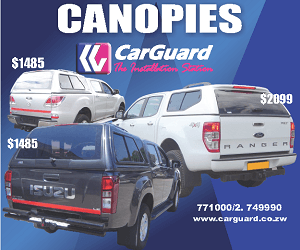 Bosso are now in the fourth position with 35 points while the Sugar Boys slump to 6th place. Elsewhere, Innocent Muchaneka’s 2nd-minute effort was enough to give Chicken Inn a narrow 1-0 win over Mutare City while Herentals beat ZPC Kariba by a goal to nill.